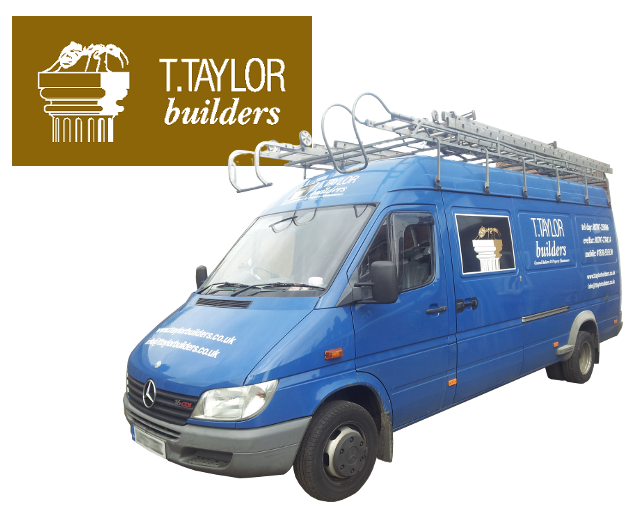 Your reliable builder in Hertfordshire, Tony Taylor undertakes most building work, extension or refurbishment in your home or commercial business. We have been building in Hertfordshire and the London area for over twenty years, during this time we have acquired an experienced team of tradesmen for any home or business improvement. We offer a full design and build service from the initial design stage, through to completion. We also have an number of experienced architects and fully qualified tradesman including plumbers, electricians and carpenters to meet all your project requirements. Our electricians are fully certified and registered, our plumbers are registered gas safe too. Build Your Dream, It's What We Do! Tony Taylor has built a reputation for reliability and quality workmanship. We always aim to build a project to your satisfaction and how you envisioned it to be. This is what we always look to achieve in every build we do. If you are looking to extend or convert your home or business premises look no further. Our building portfolio covers many types of house extensions and building conversions. We have completed outstanding loft conversions and home extensions. We provide building services throughout London and the Home Counties. Our experienced building team and own plant ensure that we work within your budget and always work with care and professionalism. Need a new kitchen? or need a new bathroom? We can install all types of kitchens and bathroom suites. Do you have more that one room or building? Not a problem! We welcome multi building refurbishment work, commercial or private. Our property maintenance services also include roofing and roof repairs for all types off roofs including flat roofs. Our property maintenance services can also provide plumbing, drainage and electrical installations and repairs. All our work will be carried out by our own certified tradesman. Not only does good garden design and landscaping add value to your home it can make that extra bit of difference to a sale. Not only is a good garden an investment, but it can also be an enjoyable place to entertain family and friends, or just relax. Our landscaping services include, fencing and boundary walls, patio, decking and driveway installations. We can also construct conservatories, building extensions and conversions, out houses and sheds. What Makes Us Different From Other Builders.. Being able to contact your builder is very important. T Taylor Builders ensure that we can always be contactable throughout the build process. We understand your expectations and the need for your questions. Your interest and feedback are welcome and we believe working in unison can help achieve your desired result more effectively. T Taylor Builders, your local builder in Hertfordshire pride ourselves on our exceptional quality finish. If you like what you see and would like a no obligation quote or just a chat about your project plans, please contact us by either email or phone. We are always happy to talk about your specific needs. We want to make your dream and expectations about your building project a reality. We will listen to your needs and discuss with you, all the different options we can provide. We have a number of architects who can turn your dream into a reality keeping you in the loop at all times. We can design and plan your new garden, or new bathroom or kitchen. Once you are happy, we can deal with planning permission where required. Tony Taylor will personally build and manage your project from start to finish, ensuring all work is at the highest level. You can always contact Tony throughout the build process and we welcome your input. My sister and I would like to take this opportunity of thanking you for all the work you have put into work of the extension, etc. We are certainly pleased with the result and have been Impressed with the care and efficiency you and your team gave all the way through. Thank you for your expertise - please let the staff know how much we appreciate their efforts. Wishing you every success for the future. This Letter is to act as a reference for Tony Taylor of T.Taylor Builders. Tony Taylor has undertaken building works for us and for several of our acquaintances. At all times we have found him to be reliable, honest and absolutely professional in his work. He effectively monitors all work undertaken by anyone working for him and operates within the guidelines and quotations set. Valerie and I are both very pleased with the two bathrooms, they look really super. We will of course recommend you whenever possible. Interested in what our building services can do for you? Please feel free to either email us or give us a call to discuss your needs. We are always happy to discuss your requirements in more detail.